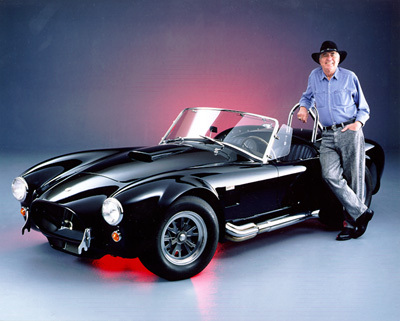 RIP Carroll Shelby, a man who was into putting big engines into small cars—a man after my own heart. Shelby passed away today at the age of 89. I had the good fortune of hearing him speak at the 2006 SEMA Show, my first trip to the event. I didn't know he was going to be the guest speaker, and nearly fell out of my chair when they said he was the guest for the New Products Showcase breakfast. Really neat man. Rest in peace fellow gearhead. Shelby's work - with Chrysler - in developing the Omni GLH should gain him permanent membership in the Subcompact Hall of Fame.